Tabitha's nursery. 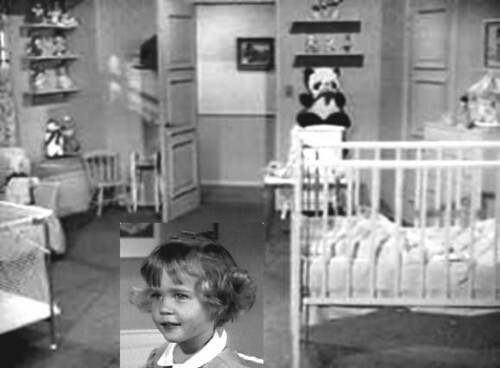 From 16mm film, a shot of Tabitha's nursery in Bewitched.. Wallpaper and background images in the Vita da strega club tagged: bewitched tabitha's room 1960s tv series 16mm film photo. This Vita da strega photo contains completo and vestito di affari. Vintage foto Of The Vita da strega Set When It Burned Down!